The story of Boss Dog® starts with Kelby. Kelby is a big-hearted Rhodesian Ridgeback, who seems to be more human than dog and a big part of our family. Our “Boss Dog” Kelby has always been a bit of a picky eater. When he was a happy, healthy (and really energetic) puppy, we were dedicated to making sure he had high quality food and treats made from great ingredients. After a lot of searching and tasting (to be clear, Kelby was doing the tasting) for a treat that Kelby liked and coming up empty handed, we decided to create something delicious and that also provided nutritional benefits. 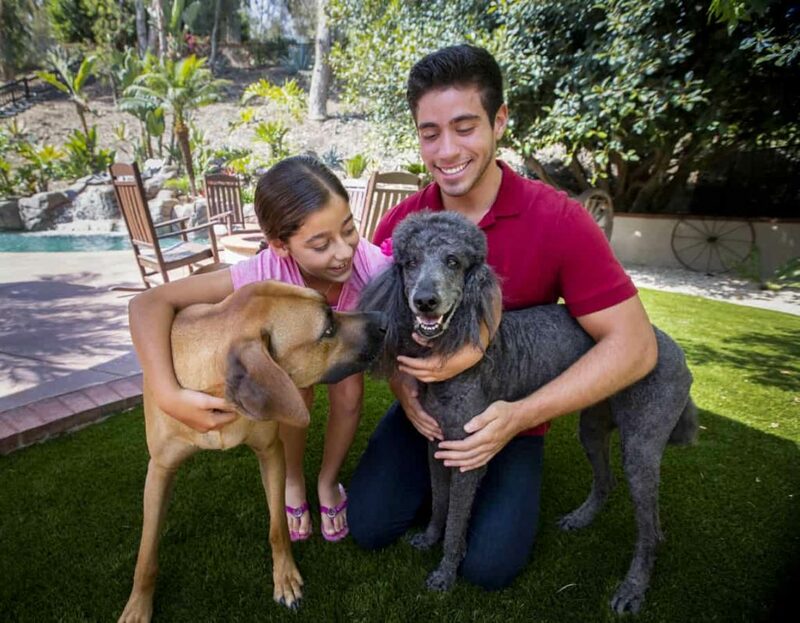 All Boss Dog® products are made with the highest quality ingredients and provide added unique benefits such as probiotics, prebiotics, and more. The story continues to evolve as we have added another furry addition to our family- Franky the cat. He loves Boss Dog® products just as much as Kelby does and we feel good knowing that he is not only getting a treat that is fun to eat but benefitting from ingredients such as DHA & Taurine in Raw Goat Milk or pre and probiotics in our Greek Style Frozen Yogurt. Boss Dog® Brand is a proud member of the WPA & APPA. Yes! Probiotics for pets! Digestive health is so important for all living creatures, but even more so for pets because so much of their immune system resides in their digestive tract. By providing these beneficial bugs, you are supporting your pet’s digestive system in crowding out harmful bacteria that can cause illness. 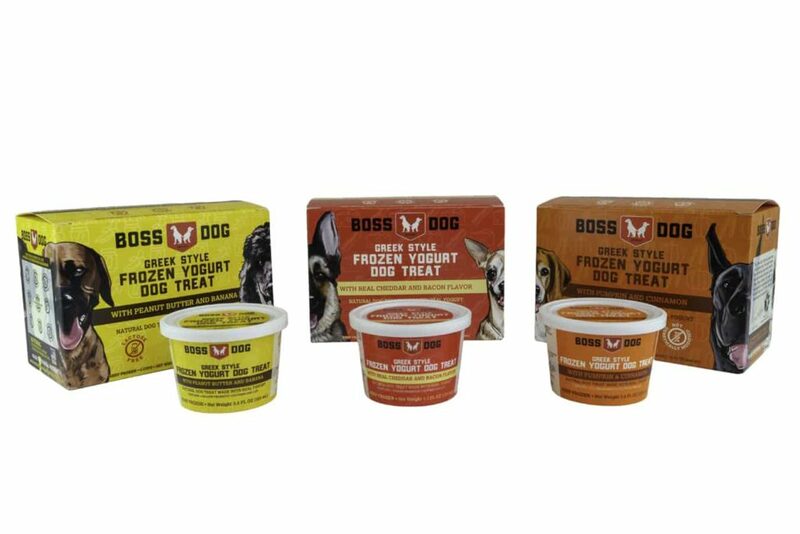 Boss Dog® Greek Style Frozen Yogurt Treats use 100% Human Grade ingredients with flavors that dogs and cats love to create an irresistible treat. Your pet will love the combinations of Peanut Butter & Banana as well as Cheddar & Bacon and Pumpkin Cinnamon. Be sure to stock your freezer with all flavors for your Boss Dog or Boss Cat! These frozen Greek Style Yogurts are a great daily treat. Try them after a walk for a cool down or you can even use them for training. 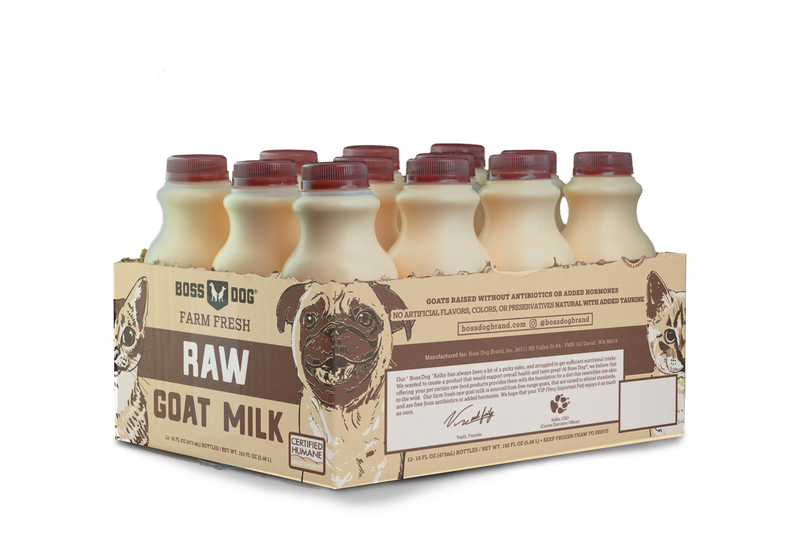 Boss Dog® farm fresh raw goat milk is made even more beneficial with the addition of DHA & Taurine. At Boss Dog®, we believe that offering your pet certain raw food products provides them with the foundation for a diet that resembles one similar to what they would receive in the wild. It also has organic cinnamon, ginger and turmeric! Disclaimer: Benefits may be unique to specific Boss Dog® products.